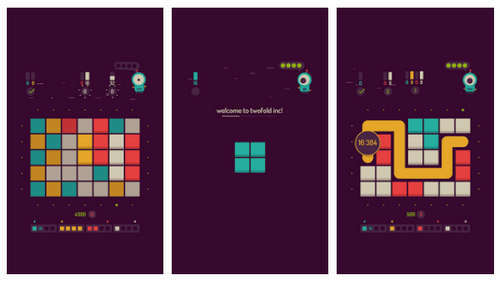 Twofold inc. is brand new unique puzzle game by the same developer who made Rymdkapsel. The game is a complex and colourful puzzler that will appeal to any fan of the genre or any follower of Swedish indie developer Grapefrukt. This Android version has been made following fan requests! Players scroll the playfield to unravel the tiles, then make a path to clear them away in one swipe. The levels are never-ending in twofold inc, there are no time limits, and in general the game seems to be more of an introspective puzzle rather than a frantic one like most puzzle games on the Play Store. Although it says "twofold inc. 1.1.7" on the PlayStore, this is version 1.1.8, try it and let us know!